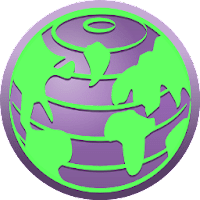 Tor Browser can run off a USB flash drive, comes with a pre-configured web browser to protect your anonymity, and is self-contained (portable). For example, if you're traveling abroad and you connect to your employer's computers to check or send mail, you can inadvertently reveal your national origin and professional affiliation to anyone observing the network, even if the connection is encrypted. Note: In case Tor Browser is blocked or censored in your country, you download it from Github. Disclaimer: Direct downloads for the lastest version of Tor Browser 7.0.2 are provided by the official software's author, we can't guarantee safety, availability or download speed. Moreover, we don't and we won't provide any pirated/illegal versions or tools. We recommend you to avoid it as these methods can harm your device. If you like the software, buy it to support the developers. (We provide software discounts for many worldwide brands).